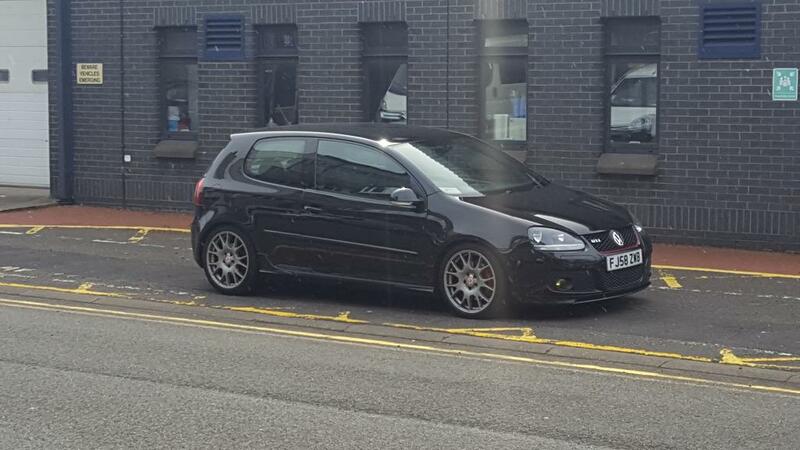 Looks a nice example mate any mods planned ? Checked my DV (revision G) and PCV both good. Aquired my ED30 plaque from VW. 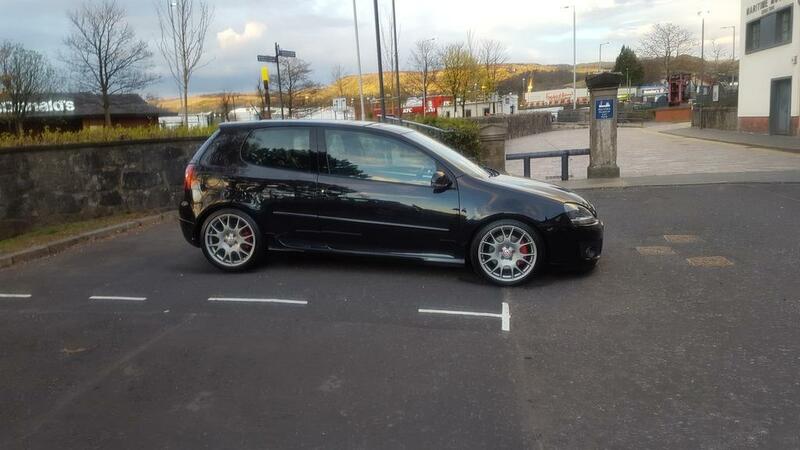 Got my coilovers to go on next week hopefully then all I plan on doing is a stage 1 APR map from ecotune in renfrew and big brake kit probably(VW racing) and that will be that. Basically have it sitting how I like, have a little extra poke cos why not, get the brakes sorted for looks and resolve the mediocre braking it comes with. Always liked the Ed30 and this one looks a very nice example! If you want some ideas to improve the comfort features you can look at both my projects. The interior can be updated to a more modern look/capabilities too. Cheers buddy very much appreciated I actually had some rare spare time in work today and spent it all reading your build thread...wow mate! very very imressive such a methodical and precise series of modifications and to be honest I will take quite a bit of inspiration from it... interior and the rest your car is mint bud. If I could ask you a question, how does your car sit/ride now with a few thousand miles under its belt on the H&Rs..looks great. I only ask as I have a tough decision to make regarding my coilovers. I think the H&R give a perfect stance for the car. I wouldn't ride lower with coilovers, to be honest. For the price I paid for the dampers and springs, I think I have a much better and durable setup than what the same priced coilovers would give me. Of course I wouldn't mind fitting Öhlins but they're too expensive for my wallet. If you choose a damper and spring setup you can also consider the Bilstein B12 kit, as you won't have to adjust it to your preference like the Koni Sport require/allow. Or Bilstein B8 and H&R springs, since there are a few in this forum who have that setup and like it too. Thanks mate. Its on H&R springs needed it to be comfy to please her and survive my pothole and speedbump drive to the base. 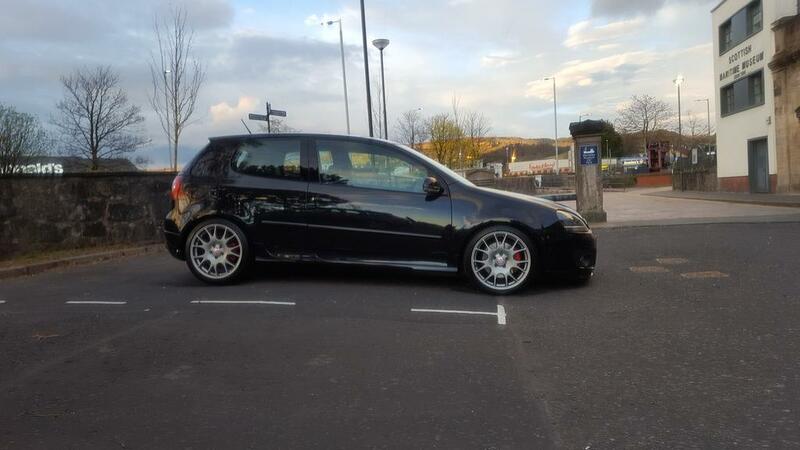 Plus saved me cash for my remap.. pretty happy with them ao far I inly fitted them 4 days ago so shld still settle some. You got new dampers with them? Are the springs 30mm or 50mm? 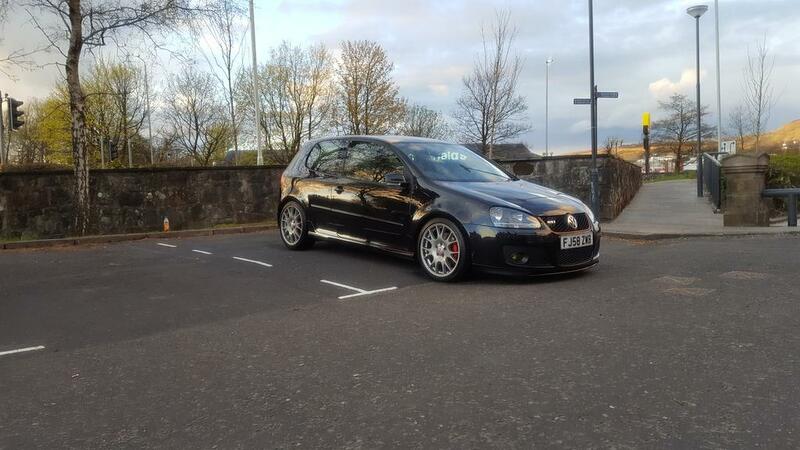 I have 30mm h and r springs waiting to be fitted, I'll be chuffed if it sits like this ! There's only one H&R spring kit for GTI/GT and the springs are blue. It lowers the ride 30 mm. 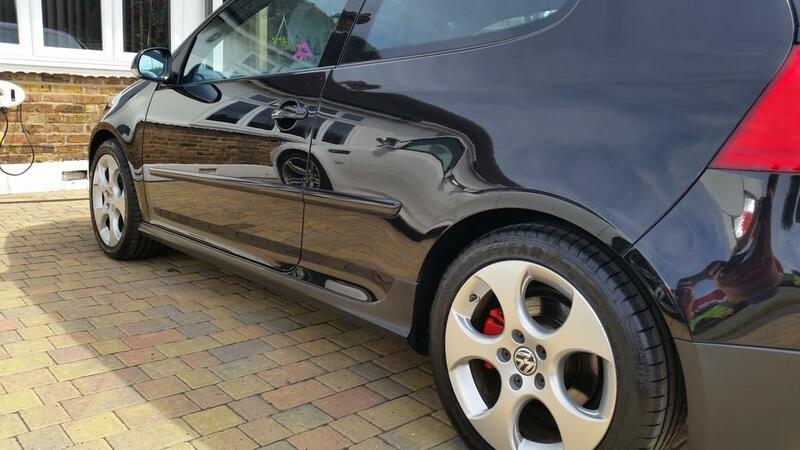 Just other mk5 Golf models have -50 mm that lower the ride the same as the blue GTI springs but they're painted red. GTIs are -20 mm compared to normal Golfs, GT/GT Sport/Sport are -15 mm.